Next week, my kids start a new school year. Way too early to start if you ask me, but they didn’t ask me. Not only do I have two boys going to school, but my dear little singlespeed will be turning 18 and “graduating” this year. 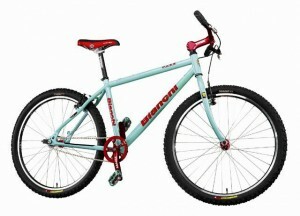 Dear Bianchi, oh the places you will go my little green singlespeed. I vividly remember the day you became part of the family. I saw you at Turin Bikes in Denver, and knew you were the one for me. With a name like C.U.S.S (Celeste Ugly Single Speed), you were perfect. From the first ride, you always responded “yes” to anything asked of you. Commuting – check. Uphill – check. Even when I began riding longer distances, all you ever asked for was a chain lube and some air in your tires. A great companion on the trail. Even in your teenage years, your rebellion led to more fun. Remember the first Jones H-Bar? And the switch from flat pedals to EggBeaters? You even dabbled in paracord handlebar wraps. You blazed your own trail, never following the trends. When everyone else experimented with fat bikes, disc brakes, carbon this, carbon that, electronic shifting, and dropper seat posts, you stayed true to your self. 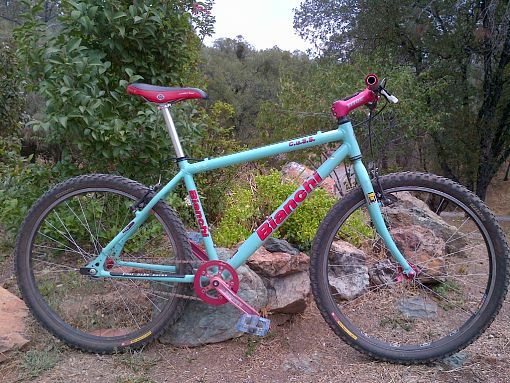 Simple, old-school, rigid mountain biking. You even joined me on the adventures of bikepacking! Do you remember that first night when I woke up to a herd of deer at 3AM? No you don’t because you kept laying on your side during the whole thing. I can’t complain. 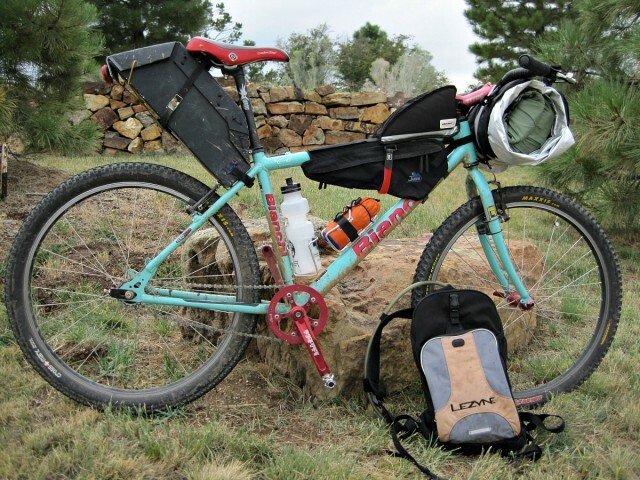 You never objected to carrying a frame bag or a homemade seat bag. After all of the rebellion, bikepacking, and a few races, you decided to go back to your original look (complete with a few clumps of mud and many more scratches). It’s almost like it’s 2001 again. Except we are both “wiser”, you have 2 little human brothers, and Facebook sold all of our data. One day, you’ll be considered vintage. All of the hipsters living at Union Station will be clamoring for you. Until then, where will you go? Will it be commuting, back to racing, or maybe a stint on the Colorado Trail? The adventures ahead are yours for the taking. Have fun along the way. PS – If you are in the Denver area, join me and 14 other authors on August 19th at 2PM for the Douglas County Libraries local author showcase. We will discuss our books which range from fiction, children’s, nonfiction, business, parenting, and more.